Administered by Kosrae Conservation and Safety Organisation (KCSO), a NGO found in 1998. 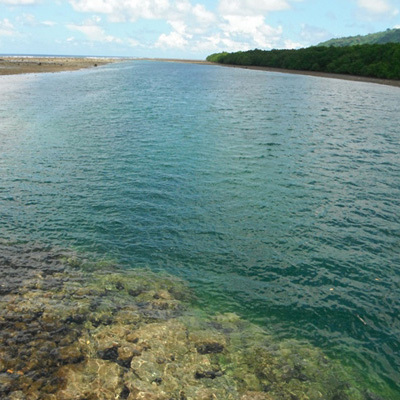 The organisation is dedicated to the conservation of Kosrae’s natural resources and biodiversity. Their mission aims to sustainably manage and protect Kosrae’s biodiversity and natural heritage through community involvement and strong partnership. (3) Increase community understanding of their roles in co-managing Kosrae protected areas. Under this project, KCSO education program will organise a team with its local partners to carry out school awareness programs and conduct meeting workshops, a student speech contest, and a fieldtrip in Tafunsak and the neighboring communities. The grant will also be used to purchase some kayaks to support the eco-tourism efforts of the TMPA community. Kosrae, one of the four island states of the Federated States of Micronesia. This 42-square-mile island is located just a few hours southeast of Guam and few hours southwest of Hawaii. Kosrae is known for its virgin reef and pristine waters, visibility up to 200+ ft. and thriving hard coral society. There are more than 172 species of hard corals and 10 species of soft carols. There are over 250 species of fish and marine lives. Bottlenose dolphins are apt residences of the coast and whales sometimes can be spotted.